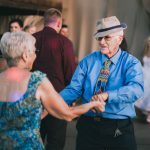 Learn why dancing helps reduce the risk of age-related diseases and cognitive decline. Our Durham dance studio gives your brain & body a workout! Learn about the origins of salsa dancing and the health benefits of this Latin American favorite. Want to learn a specific style of dance with your special someone for Valentine’s Day? Join Fred Astaire Franchised Dance Studios here in Durham, North Carolina. So You Want to Learn How to Dance. Feeling overwhelmed and confused? Learn How to Survive Your First Dance Lesson at Fred Astaire Dance Studio in Durham. The first dance is special. It is important to have the perfect music to enhance the moment. Here are the top trending first dance songs for 2019 weddings. 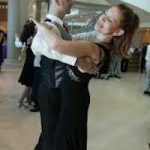 In this two part series of How to Lead & Follow in Ballroom Dancing. We will focus on what it take to be a great follower in dancing. In dancing, there are two roles. The Leader and The Follower. Which one are you? In this post we will focus on what it take to be a great leader in dancing. 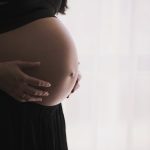 During pregnancy, it is recommend that you get at least 30 minutes of exercise each day. Did you know that dancing is a safe & fun form of exercise? These days dancing is not just for young people. Learn what grandparents and other seniors are doing each day to feel younger, stronger and healthier. A dance practice party is party where you can practice the steps that you have been working on. Practice parties is a great experience for all skill levels.